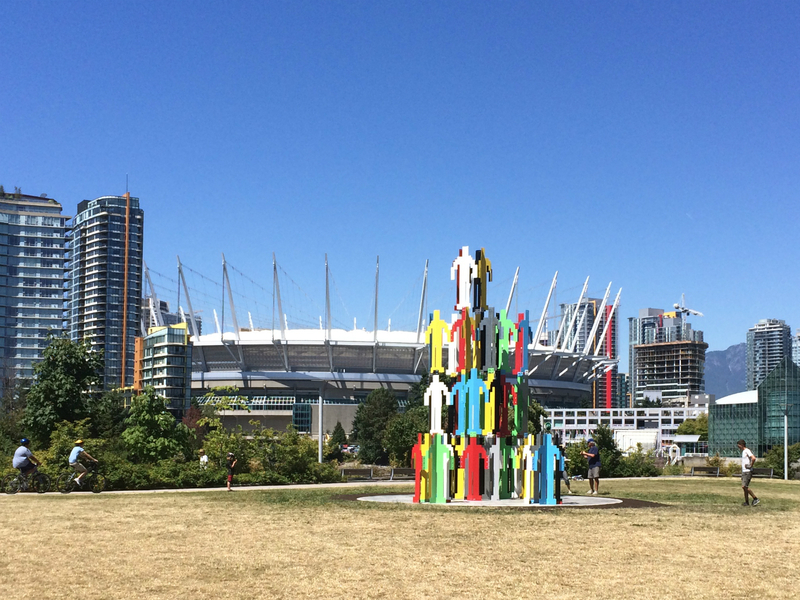 Jonathan Borofsky’s Human Structures (64 Figures Connected), 2014, located in Hinge Park, Vancouver as part of the Vancouver Biennale’s Open Air Museum. 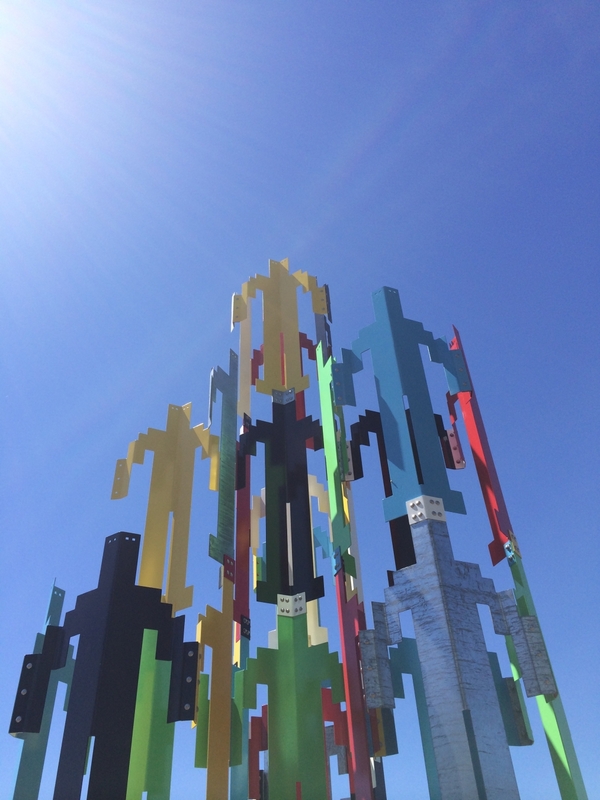 Detail of Jonathan Borofsky’s Human Structures (64 Figures Connected), located in Hinge Park, Vancouver as part of the Vancouver Biennale’s Open Air Museum. 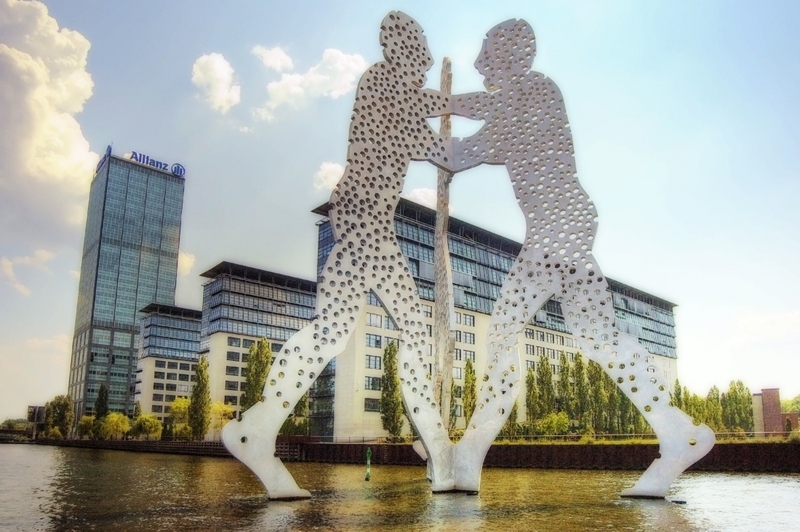 Jonathan Borofsky’s Molecule Man, 1997, located on Spree River, Berlin. 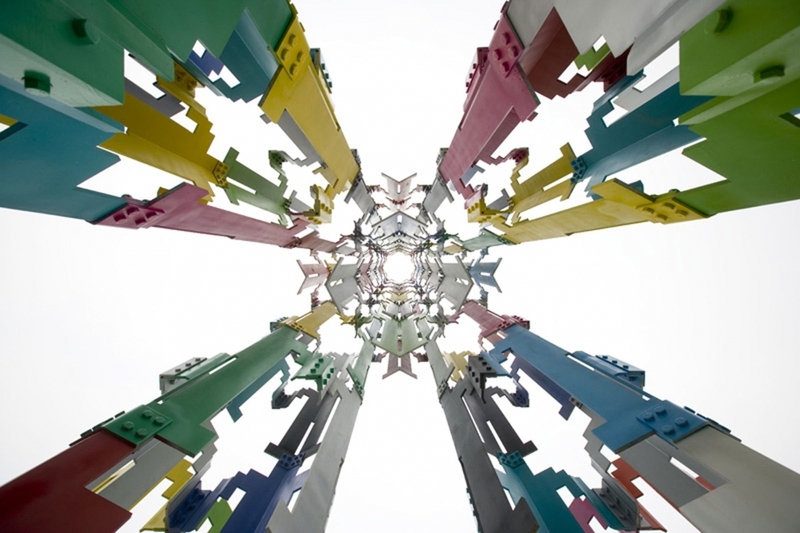 Detail of Jonathan Borofsky’s People Tower, 2008, located in Olympic Park, Beijing. 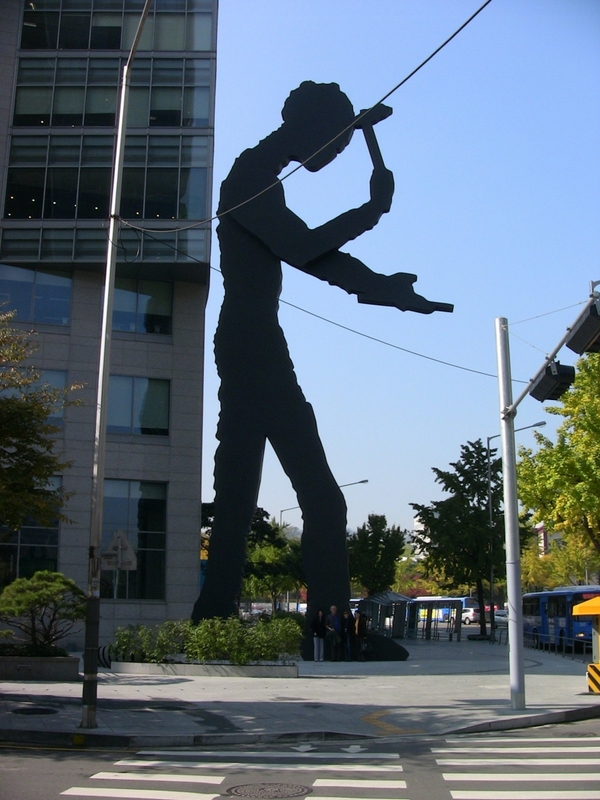 Jonathan Borofsky’s Hammering Man, 2002, in front of the Heungkuk building, Seoul. 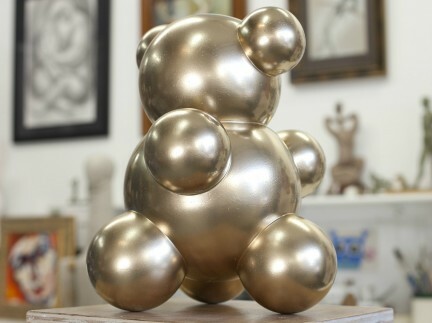 And now, anyone can experience this major artwork for themselves, simply by strolling out of the Olympic Village and wandering over the the park, where the 64 figures, all bolted into an ensemble, bear witness to Borofsky’s grand theme. 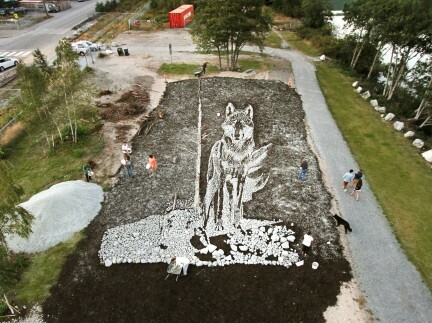 It is art that speaks volumes.